The Comparative Coagulation Laboratory has a unique focus on the characterization of blood coagulation in animals. The laboratory provides consultation and comprehensive testing for veterinary clinicians, reference laboratories, and biomedical scientists. 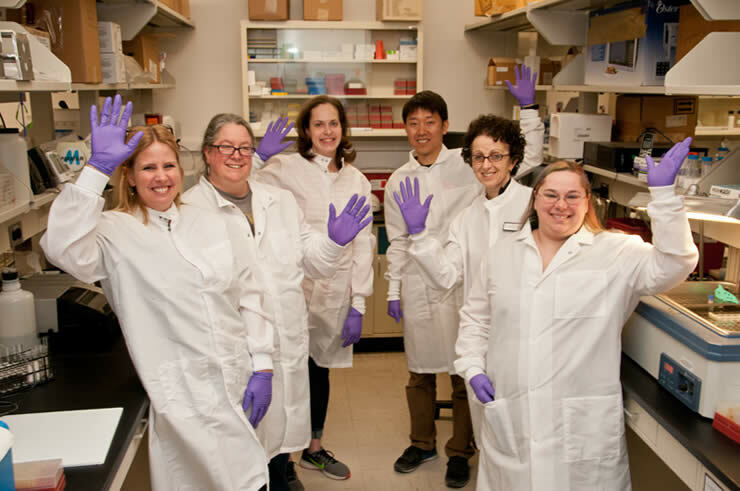 Under the directorship of Dr. Marjory Brooks, the laboratory continually develops and adapts new assays and actively participates in studies of hemorrhagic and thrombotic disorders with the goal of improving patient outcomes. Comprehensive test menu for veterinary clinicians to diagnosis coagulation, platelet, and fibrinolysis defects and tests to monitor anticoagulant therapy. Preclinical testing for drug and device development, including customized test panels and report formats, and GLP compliant studies. Collaborative and translational studies with biomedical and academic researchers. Assistance with study design, test selection, and results interpretation. Multi-species tests and test panels for hemostatic pathways. Flexible report formats to simplify data analyses. Test discounts are available for research projects from academic and teaching institutions. Laboratory of comparative research in coagulation is established in 1965 by Dr. W. Jean Dodds at the Wadsworth Center in Albany, NY. Early identification of canine hemophilia A, hemophilia B, and von Willebrand disease. Transfusion trials in dogs demonstrate efficacy of clotting factor concentrates that predict success in treatment of people with hemophilia. Dr. Jim Catalfamo joins the laboratory in 1986 and assumes directorship in 1991. New von Willebrand factor assay technique is patented and leads to the characterization of VWD subtypes in dogs and horses. Hereditary thrombasthenia in Otterhounds and basset thrombopathia are first characterized. Dr. Marjory Brooks joins the laboratory in 1988 as a specialist in veterinary internal medicine, with a background in oncology and transfusion medicine. Comparative Coagulation laboratory relocates to Cornell University in 1994. A diagnostic service laboratory for veterinary coagulation testing is established.